Being a pet parent to a little fluff ball can be one of the most fun experiences ever. However, with all of those mewls and cuddles, comes quite a bit of responsibility. In particular, you need to be careful about what kind of nutrition you are providing your little kitty. Now, in general, it is best to give your kitten food. Not only is it more easily digestible (and delicious!) but it also keeps your baby well-hydrated as well. 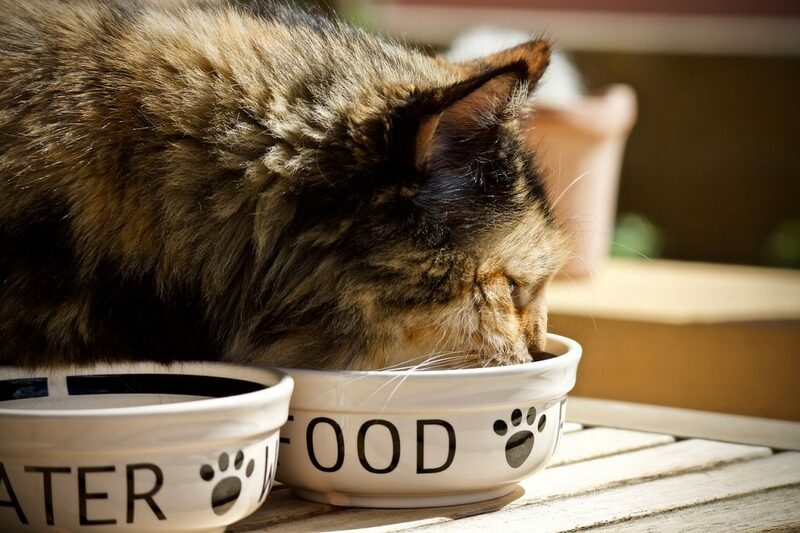 At the same time, not all types of wet food are equally as good for your precious fur baby. Fortunately for you, the guide below contains all of the information you need when choosing the best kitten wet for your fur ball. You will find just what it is that you need to look for in their food and also get some insight into the best options on the market. The first thing that you should know is that kittens have much higher calorie needs than adult cats. For the first few months of their lives, kittens will grow rather rapidly. As such, they need a greater amount of calories to support this growth and development. What’s more, you will also notice that kittens are quite a bit more playful than adult kitties. This, too, factors into their higher calorie requirements. It is all of these things that require you to only feed your fur ball food that is specifically meant for kittens. Adult cat food does not have the number of calories sufficient to support kitten growth. As such, a kitten given adult food may end up not growing as quickly or as well as he or she needs to. The food group that is most important to your kitten at this stage is protein. The right amount of protein acts as a building block for your kitties growth and development. It should be noted that kittens, in general, need quite a bit more protein than their adult counterparts. Typically, cats need to get around 30 percent of their energy from protein. So, when looking around for kitten food, look for brands that offer between 30 to 50 percent of protein for each serving. Levels that are higher than this can result in too much weight gain as well, so focus on optimal content. Fats are also pretty important for kittens. This is because it is a pure source of energy and, as mentioned, kittens require lots of energy! At the same time, you need to make sure that you are providing your cat with just the right amount. If you go overboard, you could end up with an obese or overweight kitten. Typically, kittens need around 18 to 35 percent of fat in their diet. Of course, you should make sure that the fat sources are healthy and will provide your kitten with all of the benefits that he or she needs. While carbs can help to create a balanced diet in your kitty’s diet, they aren’t all that important. This is because cats (and kittens) are what is known as obligate carnivores. Their main source of food needs to protein. A too high carb content can negatively impact your kitten’s health and so, it is best to stick with foods that have a carb content between 1 and 2 percent, if possible. Calcium is another nutrient that can be rather vital to your kitten’s health and wellbeing. Look for wet food formulas that have around 0.8 to 1.6 percent of calcium. As long as this is present, it is unlikely that your kitten will need other kinds of supplements. It is imperative that you always read the labels of any kitten food that you want to buy, regardless of how well-reputed the brand may be. This is particularly important if your kitten has any allergies or sensitivities that you need to watch out for. You should also keep an eye out for ingredients that are known as commercial fillers. These can include corn, soy, artificial preservatives, and more. Such substances have no nutritional value for kittens. What’s worse is that they can sometimes have a negative impact on your kitty’s health and so, it is best to avoid them. When in doubt, speak with your vet about any ingredients that you may be concerned about. He or she will be able to inform you of which foods are good for growing kitty and which ones you should stay away from at all costs. The first ingredient in this kitten food is high quality, real chicken. Thus, this kitten food has just the right enough of protein for your kitten and the source is excellent as well. Furthermore, the food also contains other important ingredients like taurine and calcium. One of the great things about this kitten food is that you can see all of the added nutrients such as zinc, iron, and more. All of these details prove that your kitten will be consuming a well-balanced diet. This alone is enough to show that this is a great source of nutrition for your fur baby. The only real downside with this food is that it can be a bit of an acquired taste. So, if you have a picky eater on your hands, you may find that he or she turns their nose up at this. Hopefully, the more that they are introduced to this food, this feeling should disappear. Yet another benefit is the fact that there are only natural ingredients used in this recipe. All of the flavors and preserving ingredients are naturally sourced. Thanks to this, you can be all the more confident that this food really is safe for your kitten. With Blue Buffalo, you know that you are getting the best possible quality for your kitty. This is because this food only contains well sourced chicken and ensures that there are no low quality proteins at all. 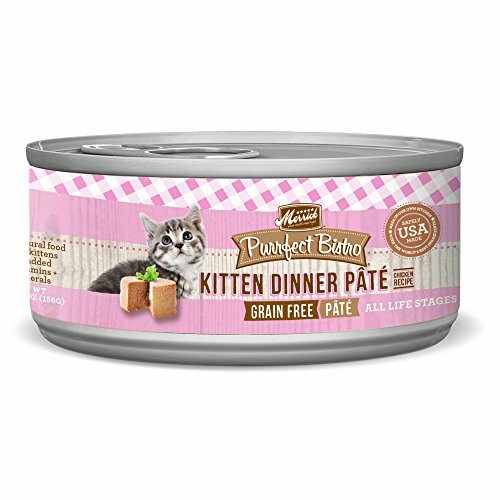 As a result, there are no meals or by products included in this kitty food. Therefore, you can be certain that all of your kitty’s protein needs are met. There is also a good level of fats in this food that is, once again, high quality. So, you will notice that your kitten has plenty of energy while on this wet food. What’s more, you can virtually guarantee that your little fur ball will be hitting all of his or her developmental milestones as well. Another benefit with this pate is that it only relies on vegetables for carbohydrate sources. Due to this, you don’t have to worry that your kitten is consuming overly processed carbs. At the same time, the carb content is a bit on the high side – but not overly so. Therefore, you may need to monitor just how much of it your cat is eating each day. You will also be pleased to learn that this pate is completely natural. As a result, there are no artificial flavorings or additives. There is also no corn, soy, or other bad ingredients. The Merrick brand is yet another company that ensures that the first ingredient of the kitten food is a high quality protein. As such, this means that the food has a high protein content. In addition to this, the food also contains a moderate amount of healthy fats and a low carb content. So, your kitty is sure to get all of the nutrients he or she needs. This food is also grain-free, which means that all of the carbohydrates are healthy and well sourced. At the same time, it also works for kittens who have any grain sensitivities. If your cat does has allergies, you can be certain that he or she will be able to avoid a negative reaction. The minor issue with this kitten food is that that the texture is a bit more firm than others. 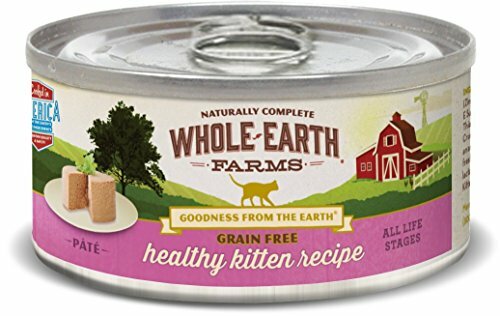 If your cat has only recently been weaned from milk or doesn’t chew too well, this food may prove to be a little bit more work for them. Another point in the favor of this food is that it is completely free of artificial colors or flavors. Therefore, it is completely safe for your kitty to eat for every meal. 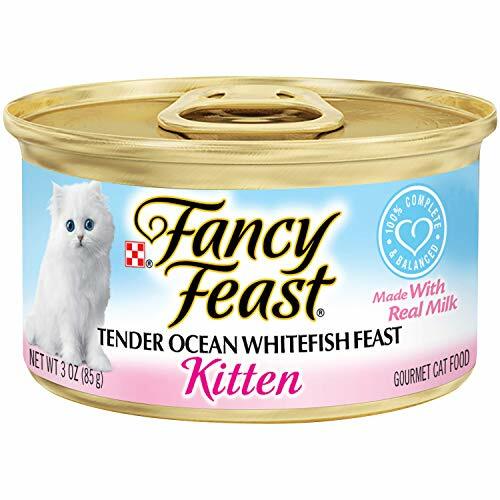 This cat food actually contains two types of protein – ocean whitefish and liver. This works to ensure that your kitty doesn’t just get all of the protein that he or she needs but also that they get a greater number of nutrients as well. The minor concern is that this food does have some protein by products. While this isn’t a bad ingredient, it is something that certain pet parents don’t like in kitten food. If this is something that you are worried about, then you may want to look for a different brand. At the same time, this wet food does ensure that your kitten eats a balanced diet each day. This is because it contains a wide variety of nutrients, vitamins, and minerals. Thanks to this, there is no need to supplement this food with anything else. The texture of the cat food is quite suitable for kittens as well. It is just soft enough that those little teeth will have no trouble tearing it up and eating it. 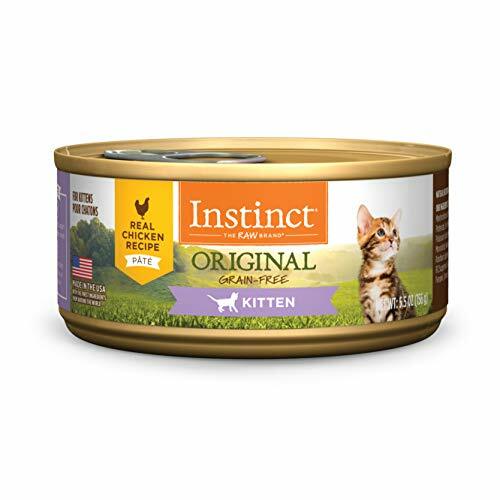 Another advantage of this food is that, as far as wet food goes, it is quite a bit more affordable than some of the other brands on the market. If you are really concerned with how your kitten’s food is sourced then you will appreciate your brand. First of all, the chicken is the first ingredient on the list which indicates a high protein content. The chicken is also free-range so you can be certain that it was raised in a healthy environment, free of antibiotics and chemicals. The food is also grain-free which works out well for all kittens who have any kind of sensitivities. Rather the food utilizes healthy fruits and vegetables to provide your cat with all of the carbs that they need. In addition, these ingredients work to create a balanced diet. Actually, all of the ingredients in this kitten food are carefully sourced. It is free from the many bad ingredients as well as those that are known to cause allergic reactions in kittens. Therefore, you can feel quite confident in giving this food to your kitty. The only hiccup here is that the food may not be considered tasty by all kittens. So, if you have a fussy kitten, then he or she may take to the food more slowly. Hopefully, this will be an issue that goes away after a while. 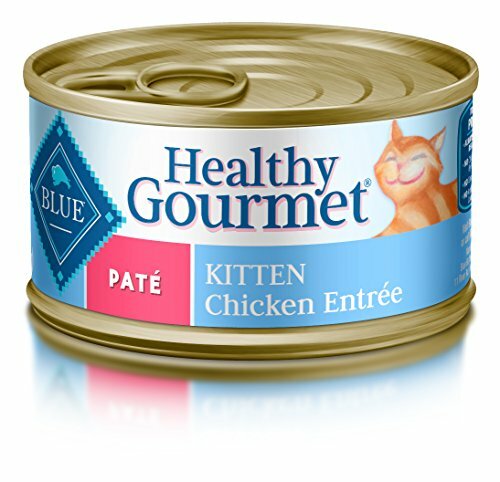 The first two ingredients in the kitten food consists of chicken and chicken liver. These two things combined ensure that your kitten is getting all of the protein that he or she needs. At the same time, the company prides themselves on their natural ingredients and so, you can be certain that the protein is incredibly high quality. Another benefit to this food is that it has moderate levels of protein and low levels of carbohydrates. This, along with the fact that the food contains appropriate amounts of vitamins, minerals, and nutrients ensure that the kitten gets to eat a balanced diet at every meal. There are also no grains or processed ingredients in this food. Rather, there is a variety of fruits and vegetables than ensure your kitty is getting just the right nutrients without any of the side effects. This food may be a particularly good option for cats with food sensitivities. 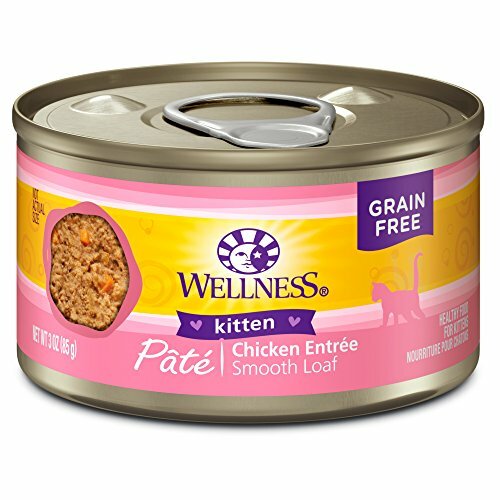 One of the biggest issues with this kitten food is that it can be rather expensive. And so, it may be too pricey to give to your kitten on a regular basis. It may also not be suitable for households with multiple cats either. Now, all of these kitten wet food are suitable for your little fur ball. However, if you had to choose just one, then the Blue Buffalo brand is probably your best bet. 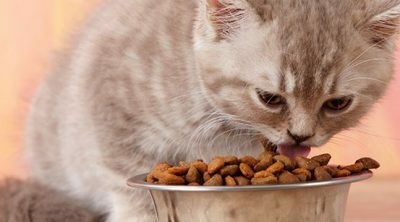 It has all of the proteins that your kitten needs while also ensuring that he or she has a balanced diet as well. The food is completely free of unnecessary or harmful ingredients, giving you peace of mind regarding your kitten’s health. So, this concludes what you need to know about the best wet food for your kitten. With all of this guidance, you should have no trouble picking a kitten food your fur ball.